Marketing is most often associated with acquiring new customers, acquisitions, or engaging with existing or previous customers, customer management. Therefore, it is easy to forget that every interaction with a customer is a marketing opportunity. For physical therapy practices, this means from the first postcard a prospective patient receives to their monthly practice newsletter to billing and collections is a marketing opportunity for the clinic. Let’s dive deeper into some of the often overlooked marketing opportunities to see how they can benefit and grow your practice. Now, most practice owners will see the above list and question why billing, collections, and payments should be considered marketing opportunities. Typically, these communications occur near the end of the patient’s treatment or soon after they have received PT. Billing, collections, and payments or collectively financial communications are often pain points for both the patient and the practice. Patients are happy and positive while in therapy. But, their mood can quickly shift to sad or angry and negative once the bills are received. Clinic staff, especially the front desk and billing departments, often dreads post-treatment communications. These are typically filled with questions, confusion, and arguments. 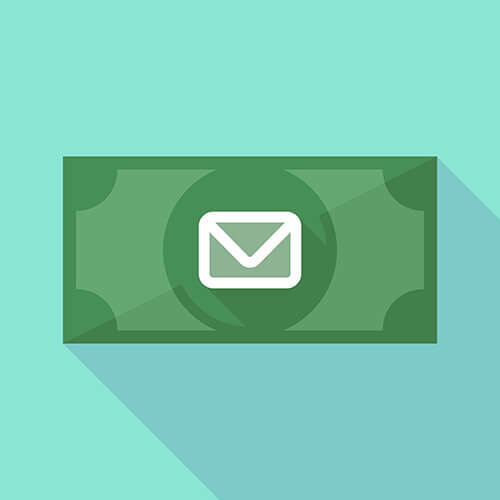 You can improve this experience for both your patients and staff by enhancing the marketing content of your practice’s financial communications. Most patients are aware that following treatment, a bill will be coming. They know to expect that thin white bill with the see through address window and enclosed payment envelope. Instead, use branded pieces, such as practice letterhead and envelopes that feel less administrative. Bills and collections are at their core—strictly financial communications. But you can add engagement and demonstrate your clinic’s care for its patients by bringing appropriate promotions into these notices. We don’t recommend adding referral programs or incentives (a $500 bill that includes the headline “Refer a friend and get a $20 gift card” seems a bit tacky right?). Look for relevant promotions that can actually benefit your patient and spread good PR about the clinic. Do you offer 10% if the patient pays in full or no interest on installment payments paid within 90 days? Market those programs and benefits. It’s a lot easier to get a bill and see a colorful “Pay in full and receive 10% off your bill”. You may also find that this messaging actually gets patients paying on time and faster. Patients can be overwhelmed by a long itemized bill. Your team is an expert on medical billing and collections, but most patients only see a few medical bills a year. Adding a simple paragraph explaining the charges and the remaining balance owed can decrease the number of calls to front desk staff and feels transparent and approachable to your patients. Also, if you have a direct line or extension for the billing department, include that prominently with a call to action at the top and bottom of the bill. This will save your front desk from getting billing questions from upset patients and allows them to remain happy and pleasant to greet new patients to the clinic. Start by thinking about every interaction as a marketing opportunity. Then, you will see where you can make simple changes that can generate big results for your practice. For more tips and recommendations on how to maximize your marketing, check out our blog!